House hunting is one of the most exciting experiences in a person’s life. There are so many options when it comes to property types and the process can seem quite hectic in the beginning. You are sitting in your living room and suddenly decide that it is time to purchase your own property. Renting isn’t an option anymore and you want to own your own space. Now that you’ve made the decision what do you do next? The first thing you will want to do in order to start house hunting is to contact a loan specialist. A Loan and financial expert will be able to set up an appointment with you to go over your finances. This financial adviser will help you decide what type of a mortgage payment you can comfortably afford. You will also be given a pre-approval letter. Many real estate agents want a pre-approval letter prior to beginning the house hunting process. We will discuss why soon. The loan processor will run your credit score and go over all of your monthly bills as well as revolving debts. There are several ways to find a great loan processor. You can ask a friend that recently purchased a house. Many friends and family members have trusted financial advisors and lenders on hand and ready to recommend. You can look online and search customer reviews on sites such as yelp. You can also contact a real estate agent and ask if they have any lenders that they recommend. Many real estate agents will have trusted lenders that they work with. Once you have met with your lender and received your pre-approval letter you can then meet with your real estate agent. The agent will want your pre-approval letter to help him/her determine what type of price range to look in. Just because you were approved for a certain amount does not mean you have to spend that amount. The agent will find out what you are comfortable with. Your agent will discuss property types such as condos, townhouses, duplex homes and single family homes. Your agent will also go over information regarding established neighborhoods and HOA’s that may require assessments. Once you have determined the type of home you wish to purchase your agent will then go over more intricate details. You will need to create a list of must have items and would like to have items. Some agents will also ask for a list of features you do not care about either way. This list typically includes the number of bedrooms and bathrooms mandatory in your home. Other features include garage spaces, driveway length, fencing, sheds, storage and swimming pools. Once your agent has your list completed you can begin looking for any homes for sale santa rosa beach fl or any town across the country. Take a note pad with you and a camera or your phone. Listing pictures are limited. You should keep notes on every property you tour. These notes and pictures will help you make a decision when it comes time to put a bid in on your home. Once you put in a bid the seller will either accept or counter. When they counter you will negotiate a bit more. 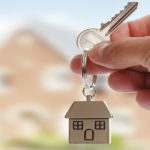 A typical closing can take thirty to sixty days and then you will be given the keys to your new home.